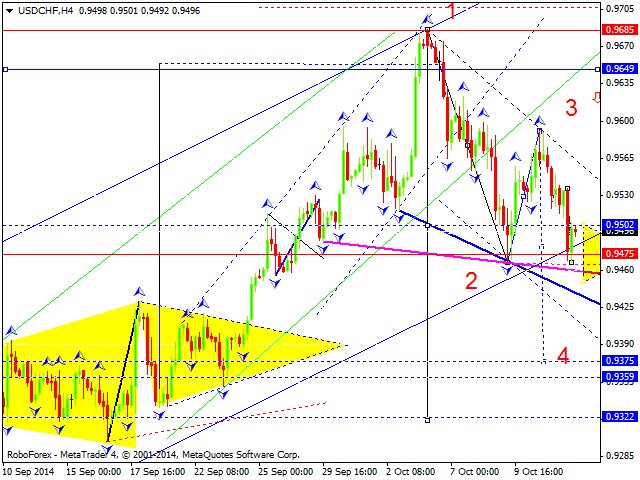 Euro has finished another ascending structure; it may be considered as the first half of the third wave. We think, today the price may correct this structure and then grow to test level of 1.2790. Later, in our opinion, the market may form a consolidation range there, break it upwards, and continue growing. 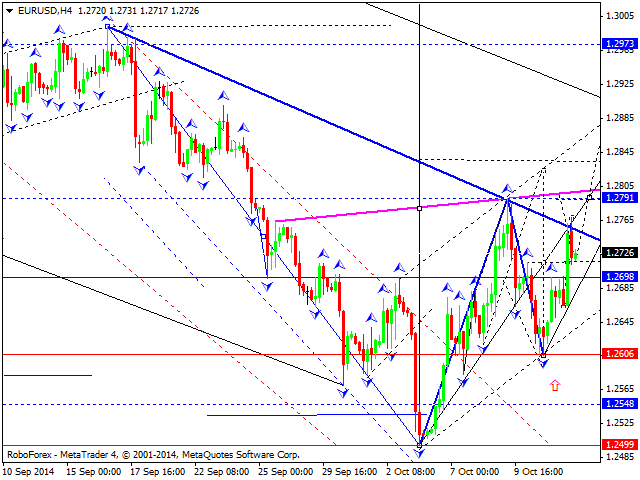 The target of the third wave is at level of 1.2970. Pound is forming a consolidation channel. 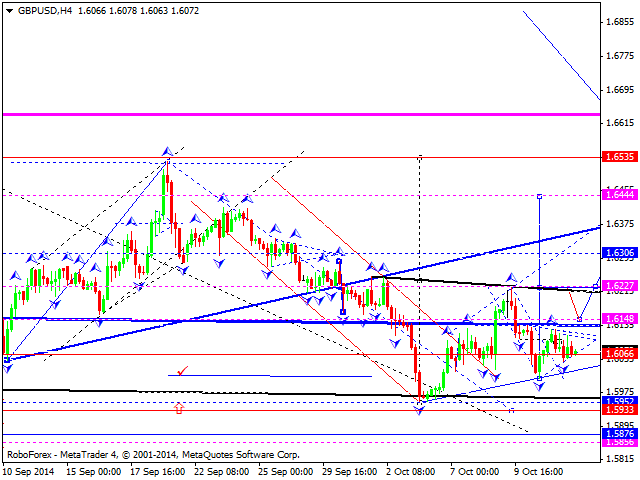 We think, today the price may break it upwards to reach level of 1.6227. Later, in our opinion, the market may consolidate there for a while and then form an upside continuation pattern towards level of 1.6440. Franc has reached the minimum of the first descending wave. Right now, the pair is forming a consolidation channel, which may be considered as a continuation pattern of the third descending wave. 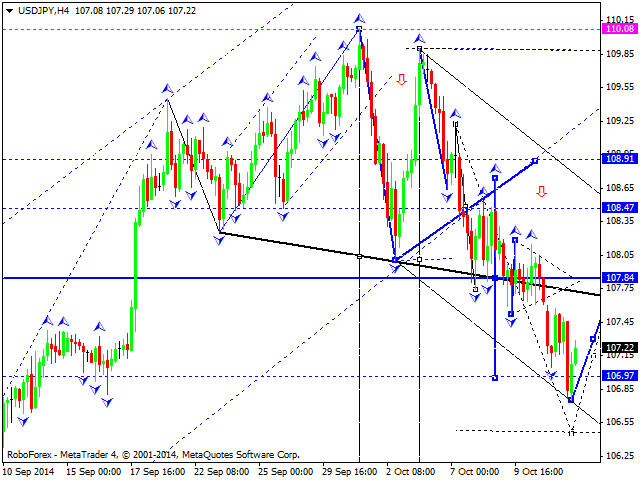 We think, today the price may break level of 0.9475 and form triangle structure. Later, in our opinion, the market may break the structure downwards and continue falling. The predicted target is at level of 0.9375. Yen is still falling. We think, today the price may reach level of 106 or even extend this wave lower. Later, in our opinion, the market may start a correction to return to level of 108.00 and then continue falling inside the fifth structure to reach the target at 105.60. 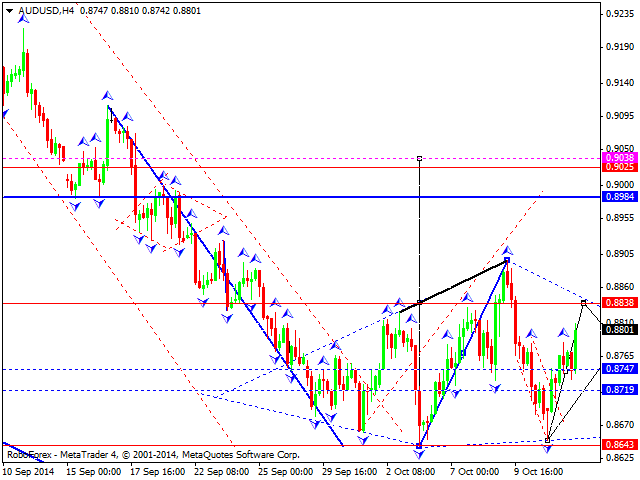 Australian Dollar is still moving inside an ascending structure with the target at 0.8838. We think, today the price may reach this level and start a descending correction towards level of 0.8747. Later, in our opinion, the market may form another ascending structure to test level of 0.8838, consolidate for a while, and then form an upside continuation patter towards the target at level of 0.9025. 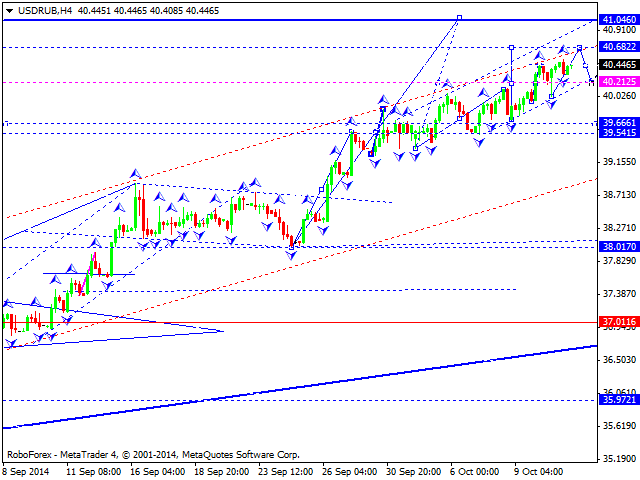 Ruble hasn’t been able to form a reversal pattern and continues extending its ascending wave. We think, today the price may form a consolidation range, break it upwards, and continue growing to reach the target at level of 40.68. Later, in our opinion, the market may fall to test level of 40.21 and then continue moving towards level of 41.05, which is considered a strategic target of the third ascending wave. The structure has been extended, so the pair may start a deep descending correction towards level of 34.00 at any moment. Gold has broken level of 1233 once again and right now is trying to form a consolidation channel, which may be considered as an upside continuation pattern. If the market breaks it upwards, it may reach the next target at 1250. Later, in our opinion, the market may return to level of 1233 to test it from above and then move upwards to reach level of 1272.